Remember when you started your business, and you were so excited about learning all the new tools and technologies? You’d spend hours painstakingly creating a header graphic for a website, or several days writing a how-to article to share with your clients. You probably even spent a week or so learning the ins and outs of your hosting plan just to install a new blog. Now, though, things have changed. Your time is far more valuable than it was back then, and wasting it on tasks you’re not good at – or that you hate – is not helping your business to grow. It’s time to think about hiring some help. 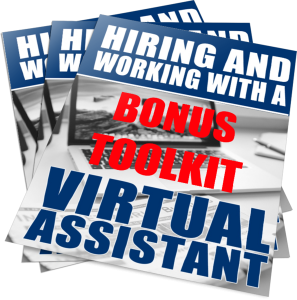 It’s time you considered how outsourcing those tasks to a virtual assistant can actually make you money. It seems counterintuitive, I know, but the truth is, when you strategically plan to spend money outsourcing, your business will actually earn more profit. In its simplest form, outsourcing will earn you money when you outsource jobs that cost less than you can earn in the time it would take you to complete the work. But there’s more to it than that. You also need to consider your stress level (how much you hate to do certain things), extra training you might have to pay for just to become competent (and no entrepreneur gets paid for on-the-job training), and time spent away from your family while you work at some necessary but not critical task. Imagine how much less stress you’d have if you could just hand over those tasks to someone who has the talent, the desire, and the skills to easily complete them. Don’t think you’re ready to take the plunge into outsourcing? You might be closer than you think. The truth is, a lot of small business owners unwittingly sabotage their own success by actively resisting growing their business. “I can’t afford to hire someone right now” – The truth: Spending time doing tasks that are below your skill level COSTS you money. “No one will do this they way I want it done” – The truth: Control issues are one of the biggest productivity killers in business – I’ll help you learn to let go, so you can get more done with less stress! “I don’t have time to train someone” – The truth: There will never be a perfect time, but the longer you procrastinate, the more complicated the task will be. Start early and start small for the greatest outsourcing success. Once you finally learn to let go of your resistance and embrace outsourcing, your business can flourish, just like mine did. To help you get started, I’ve put together a special video training that will walk you through the steps to hire and work with a virtual assistant, so you can enjoy your business again, and increase your profits without working more or harder. Like any profitable business venture, outsourcing requires good planning and organization to be a success. Understanding What a VA is – and isn’t! How to keep an eye on your budget while still getting more done than you ever have. Helpful interview questions you can use to be sure you and your new contractor will get along well. How to keep her organized and on task – this is the key to a smooth-running business. 3 tips for building trust with your assistant. How to avoid DIY syndrome and get over your need to micromanage – because learning to let go means less stress for everyone, including you! Outsourcing is the single most important skill you must develop if your business is ever going to be as profitable, fun, and sustainable as you know it can be. Don’t make the mistake that so many solo-preneurs do when they think they simply must do everything themselves – it will only cause you to burn out and give up your dream of being a true business owner. Remember, offline businesses could not remain in business without employees, so why do online business owners and solopreneurs think they have to do it all alone? Trust me – you can’t do everything yourself. Let me help you get started with your new assistant the right way, and you’ll wonder how you ever managed alone! Your purchase of “How to Hire and Work With a Virtual Assistant” comes with comes with my no-risk, 100%, unconditional money-back, 30-day guarantee! My training will help you develop a step by step plan for hiring and working successfully with a virtual assistant in your business. But if, at any time during the next 30 days, you don’t feel it makes good on my promise, or helps you in any way, confidently ask for an instant refund. These bonus tools make it easy for you to accomplish a lot quickly. No need to reinvent the wheel. We give you our toolkit of “Done For You” exercises and templates that use in your own business right “out of the box”. Outsourcing and delegating are skills every business owner should develop. Luckily, they are skills that are easily learned, if you have the right resources and a plan to follow, and that’s exactly what “How to Hire and Work With a Virtual Assistant” will do for you and your business. YES, Deanna!!! Please give me lifetime access to “How to Hire and Work With a Virtual Assistant” right now so I can learn how other business owners just like me are using outsourcing to build a stronger business. I understand this training will save me months of valuable time and untold amounts of money by teaching me the critical outsourcing techniques necessary for my business to stay in front of the competition. 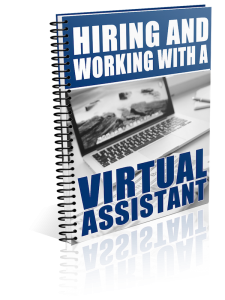 I guarantee that once you access “How to Hire and Work With a Virtual Assistant” and get started, you’ll be just as excited as I am about the leads and income you’ll be generating. You’ll see how outsourcing can build your business, lessen your workload, and increase your profits – while giving you the free time every business owner deserves! P.S. 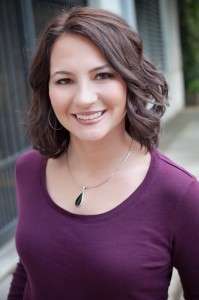 Don’t forget: “How to Hire and Work With a Virtual Assistant” is backed by my personal guarantee – if you don’t find it as helpful as I claimed – if you don’t feel you’ve gained a better understanding of outsourcing and how it can work for your business, simply request a refund, and I’ll issue it right away. So take it for a 30-day spin. I think you’ll like what you see!